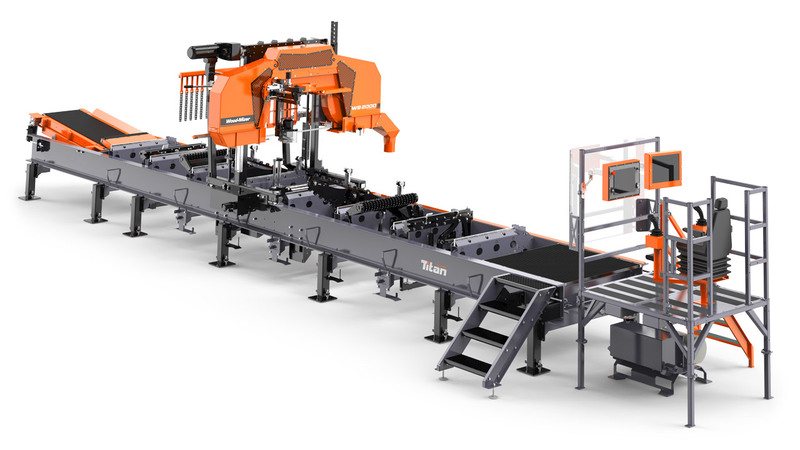 Wood-Mizer’s knowledge of customer needs in international markets has delivered a sawmill that is the best that both narrow- and wide-band technologies have to offer. Wood-Mizer’s WB2000 features heavy-duty construction, low maintenance requirements, and efficient operation. Electronic setworks and a raised operator control station allow a single operator to manage all sawing and hydraulic log handling functions while maintaining a clear view of his work. The advanced PLC setworks are displayed on a 19cm HMI touch-screen which presents board and cant sizes along with current head height, feed position, and blade power. The heavily constructed bed has a log capacity of up to 6 tonnes. The twin C-channel steel beams that make up the frame are massive – 400mm tall by 110mm wide. All hydraulic log handling functions - such as the log clamps, chain turners, and power rollers - are modular, and can be moved to different bunks as needed. 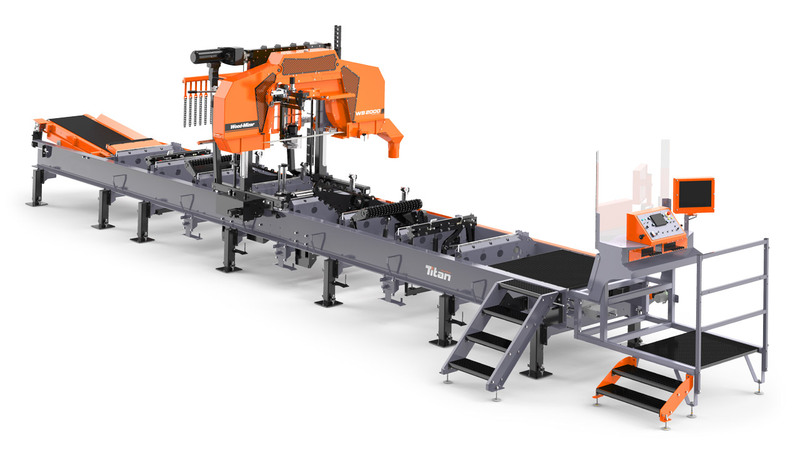 The WB2000 is equally used as a standalone sawmill to process all required materials, or as an addition to an existing business to process irregular logs or to produce custom orders that the existing equipment is not suited for.